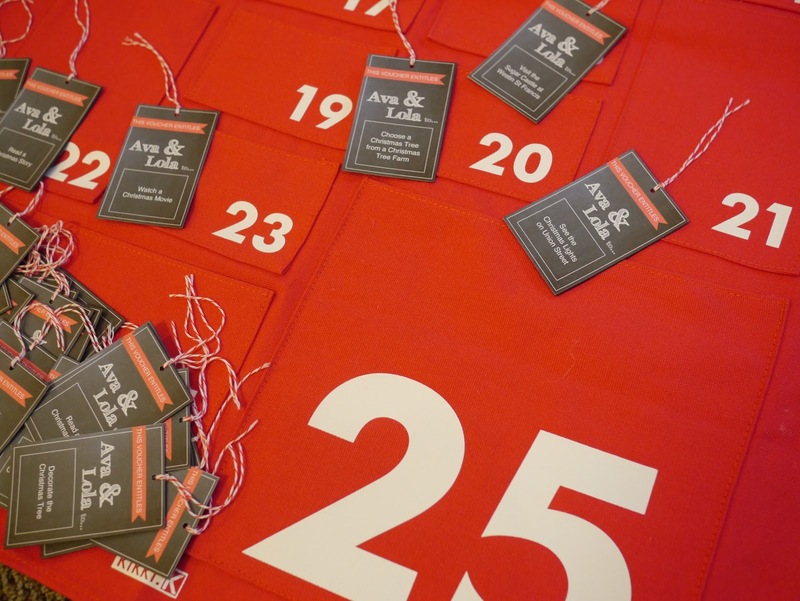 I love the simplicity of this advent calendar. The design is minimalistic and modern while still festive with its red and white colour theme. As with last year I have made vouchers for holiday activities to include in the advent calendar. Last year's vouchers were very simple (hand written on card) as my craft supplies, computer, printer etc were still in transit from Australia. This year I decided to design something a little more stylish for the advent calendar. Keeping with the simplicity of the calendar I went for a simple, modern design: blackboard background, red banner, white text and fine white borders. 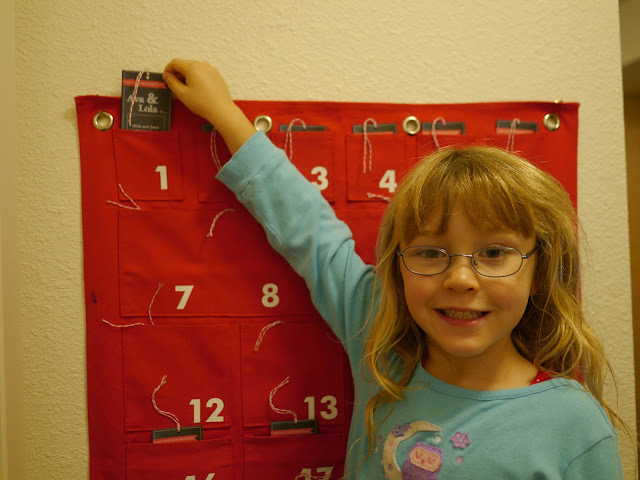 To help the girls pull each voucher out of the advent calendar I added some red and white baker's twine as a pull string. Nothing fancy but I think it goes quite well with the calendar. The vouchers in the advent calendar include activities such as choosing a Christmas tree from a tree farm, making Christmas pudding, ice skating in Union Square, visiting Santa at Macy's, making Christmas crafts, watching a Christmas movie and, for my high-tech digital age kiddos, downloading a Christmas app for the iPad. So, just what was our first voucher, I hear you ask? Yesterday's voucher entitled Ava and Lola to write and send letters to Santa. Ava wrote her letter out herself - with a little help in the spelling department. 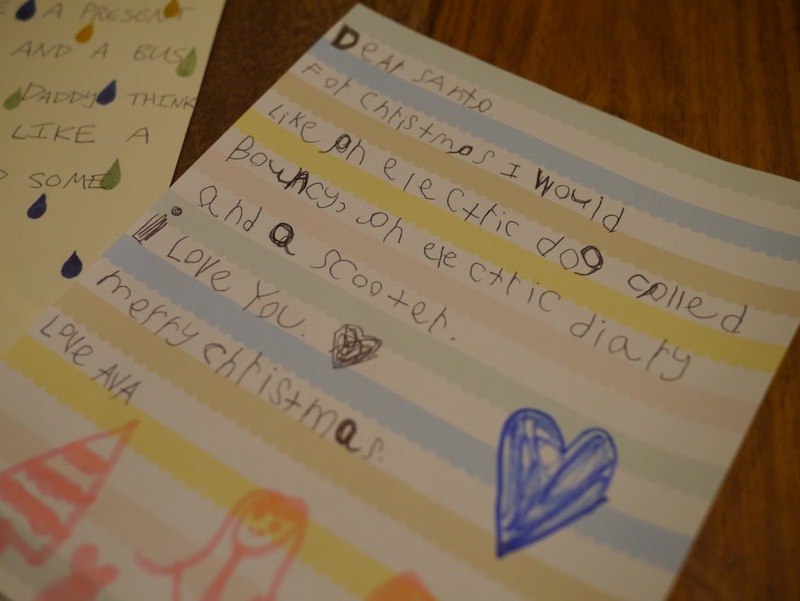 She asked Santa for "an electric dog called Bouncy, an electric diary and a scooter". Not so sure about that electric dog but I guess we'll have to wait and see what Santa brings. 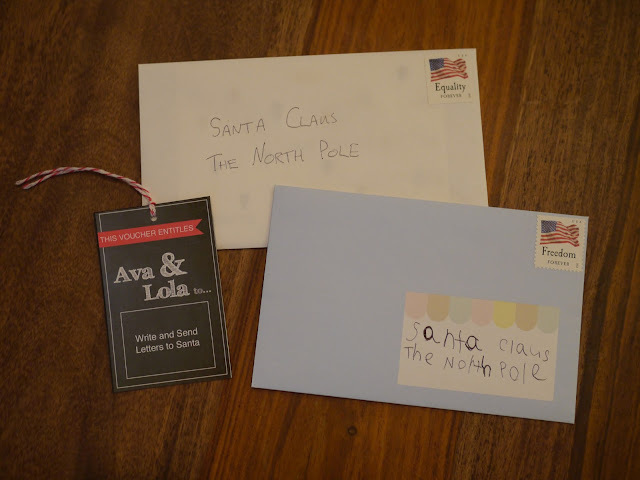 When I asked Lola what she'd like Santa to bring she answered with "a present and a ball and a bus"! We added this to her list along with a balance bike and puzzles. 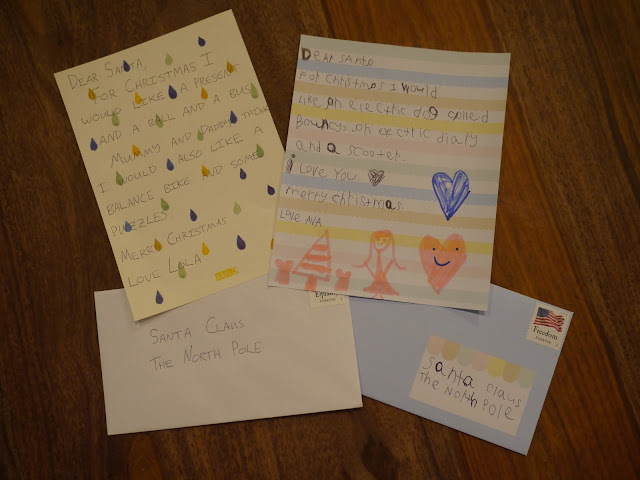 Once the letters were written out it was time to post them to Santa. 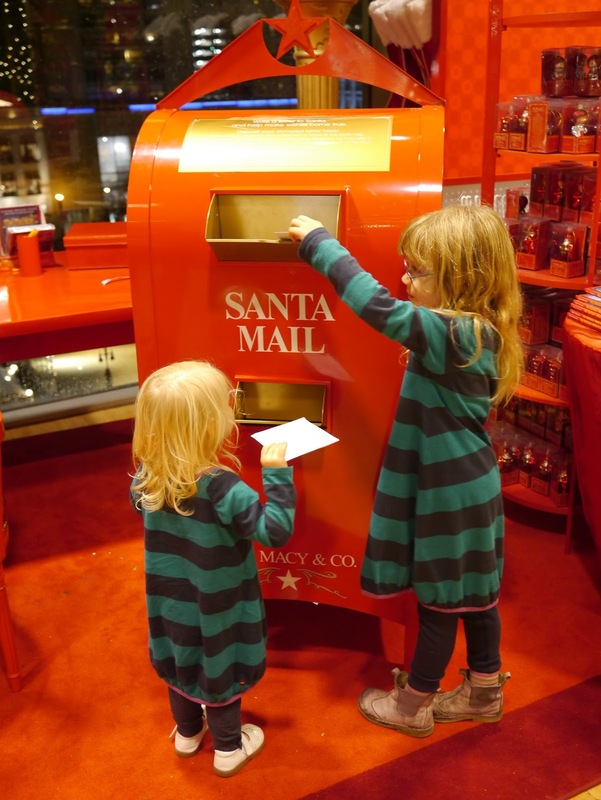 I like posting our letters to Santa at Macy's. Not only is their Santa Mail postbox more festive that a regular postbox, but for every letter received Macy's makes a $1 donation (up to $1,000,000) to Make a Wish. 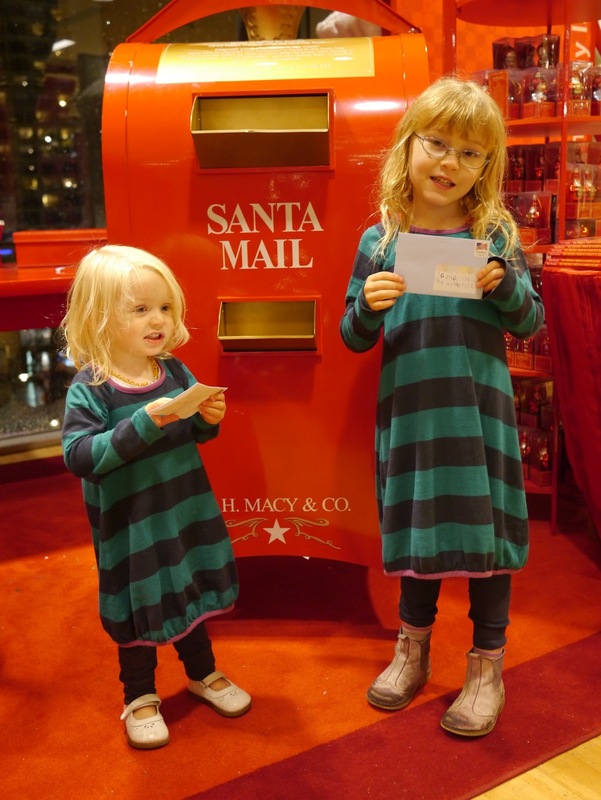 Here are the girls posting their letters to Santa. 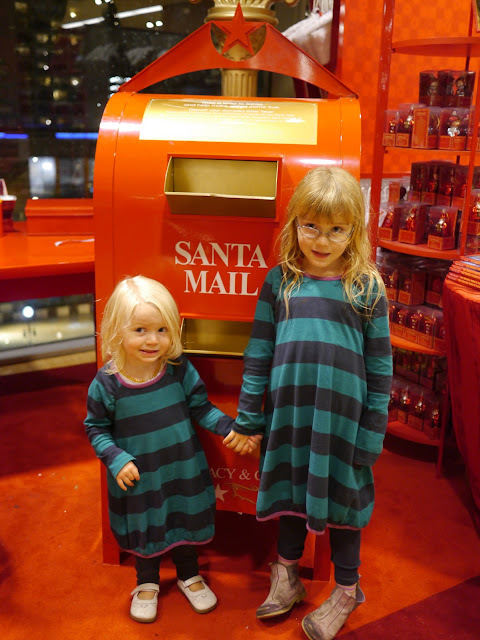 I love that the Santa Mail post box has a chute down low for Lola! In they go. Off to Santa!